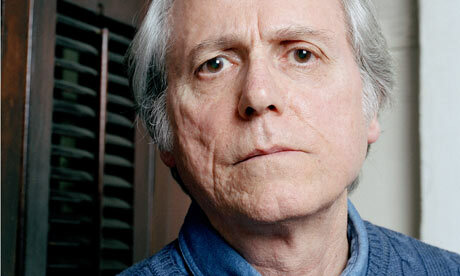 A rare interview with Don DeLillo in today’s Observer. I read it twice, and can’t find anything of relevance in it. Hmmm…. Must say, I really like the fact that he resolutely refuses to talk about it, even when he actually does talk about it. This article is pretty much a stand-in for any profile written about any famous hermetic artist, including say, Bruce Nauman and Bob Dylan. The characteristic notion that the artist refuses to explain his work, partly out of a self-conscious fear of paralyzing his creativity, but also, and perhaps more cogently, to maintain some sort of distance from the expectations of his audience. The revelations of concealment.